Spring is finally among us! Alongside the blooming flowers and singing birds, warmer weather means it’s time to dust off those golf clubs and grab your customized golf hole flags to make getting back into putting shape a lot more colorful. Let PushNPutt help you get back on track, regardless of whether you’re heading to the driving range to hone your skills, or you’re simply looking to spend some leisure time at your indoor practice greens. We’ve got you covered either way! Whether you’re new to golfing or a seasoned veteran, PushNPutt has got the products you need. In addition to our customized golf hole flags, our flagsticks are an innovative way of taking the tedium out of golfing. Thanks to our patented design, you’ll find yourself blazing through practice without the need to constantly bend over to remove the balls from holes. This not only speeds up your play time, but all members of the family can join in the fun without worry of strain or injury. Awesome! The only thing better than having more playtime on the golf course is having a space that looks great! 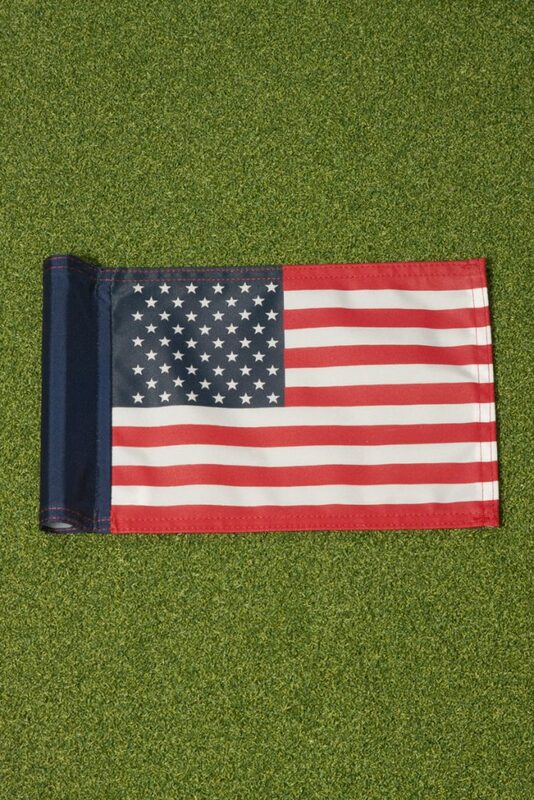 With our customized golf hole flags, your yard or practice greens will look better than ever. PushNPutt offers a variety of ways to spice up your flagstick, including custom flag colors, designs, finishes, embroideries—you name it. Our award-winning products are made of high quality materials that will withstand all conditions, so don’t hesitate to grab yours today. Boasting reliable USA craftsmanship and a one year replacement warranty on all of our PushNPutt flagsticks, you’ve got nothing to lose in ordering from us! Check out our online shop today to add some flavor and excitement to your golf game with our customized golf hole flags. You can also give us a call at (828) 464-8882 or send us an email at info@pushnputt.com. One of our representatives will be more than happy to assist you and answer any questions you might have.